Hello! Happy Reveal day at Studio Calico! Today the November kits become available for purchase. 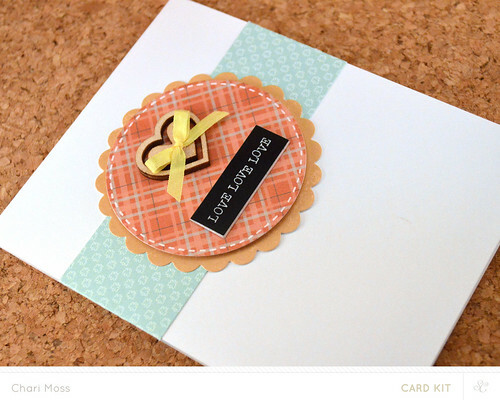 I have a few cards to share made with the Walden Card kit. My first card is pretty straight forward. 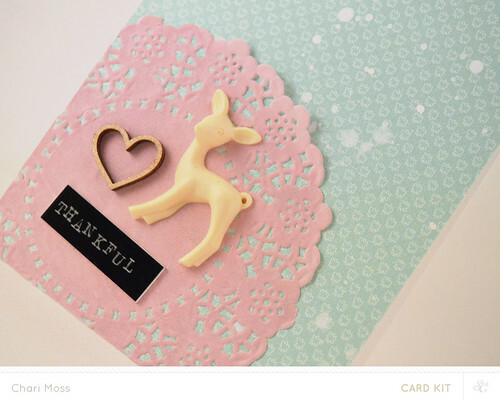 I used the pattern papers along with circle and scalloped circle dies to create the focal point of this card. 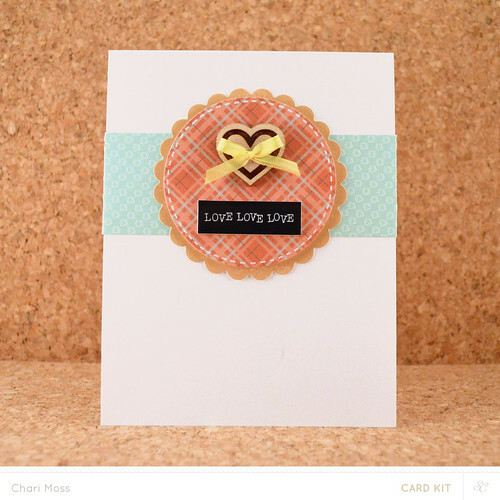 The three wood hearts in this kit stack inside each other so I used the largest and smallest together to create an outlined embellishment. I coated the wood veneer in wink of stella clear glitter for sparkle and shine and finished it off with a bow made from the ribbon in the kit. Although there is a stamp in this kit to stamp the body of the apple I wanted the apple to be one of the papers. 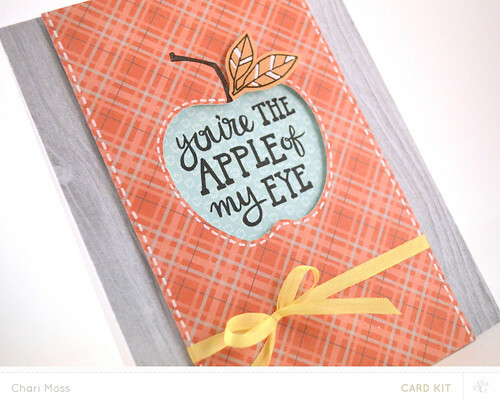 So I stamped the solid apple on the plaid paper then used a craft knife to cut around it leaving a negative space. Then I could stamp my sentiment inside the cut out. I added white stitching lines around the cut out to create a fun appliqué look. I really love all the colors pulled together in this card. 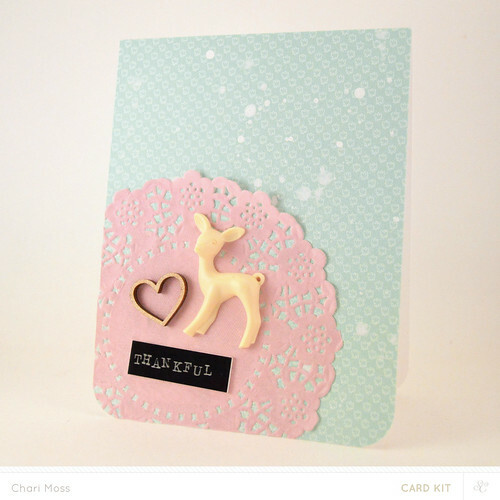 I had to be sure to use the fun deer embellishment in this kit. I wanted to make sure to keep it simple so I arranged a little grouping of three elements over the pink doily in the kit. I added White and Shine Mister Huey's to the background paper for some added texture behind the main elements. I also added Wink of Stella clear glitter to the wood heart for more shimmer. 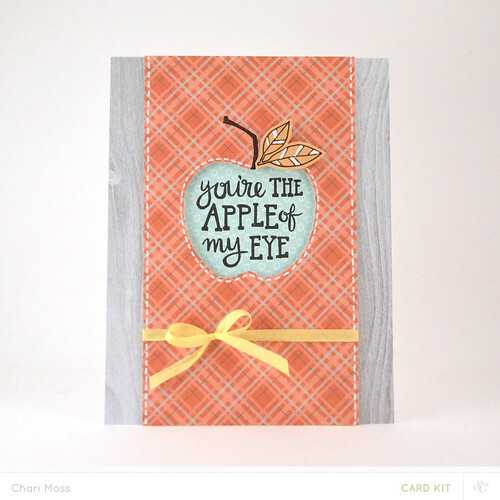 Thanks for stopping by, I will be back soon with more projects using the add-on stamp set for November as well. I really like the apple card.